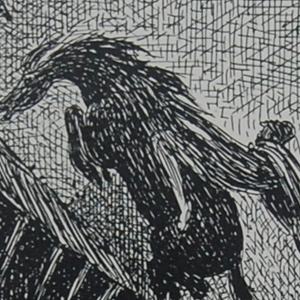 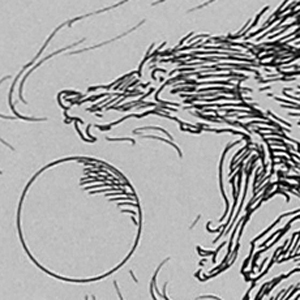 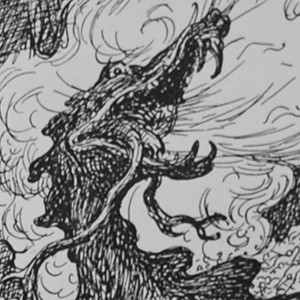 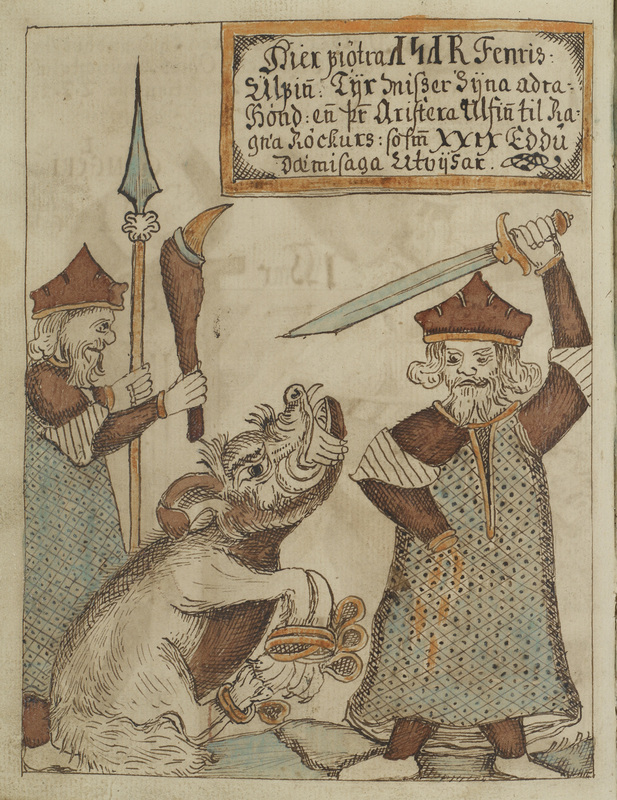 Description: The wolf Fenrir with Týr's severed hand in his mouth and a god, who might be Þórr, holding a spear and a spiked club, from the Binding of Fenrir myth in Gylfaginning in Snorri's Edda. 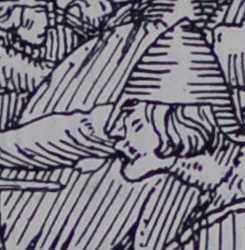 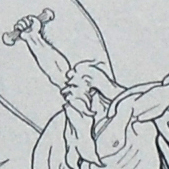 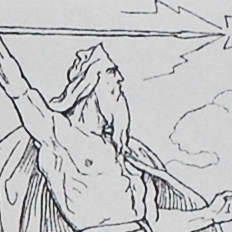 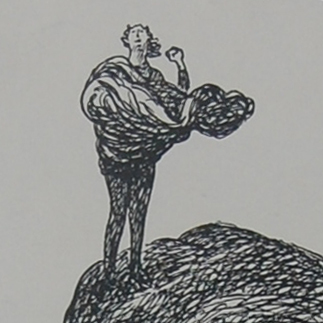 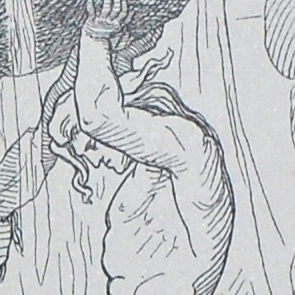 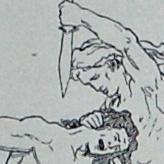 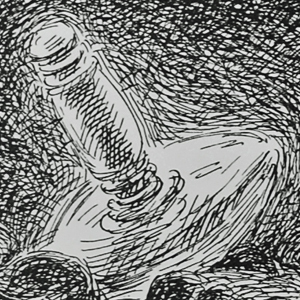 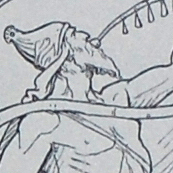 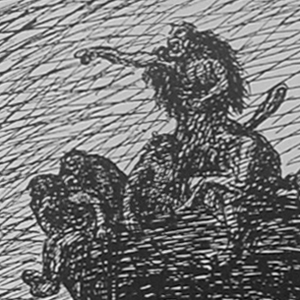 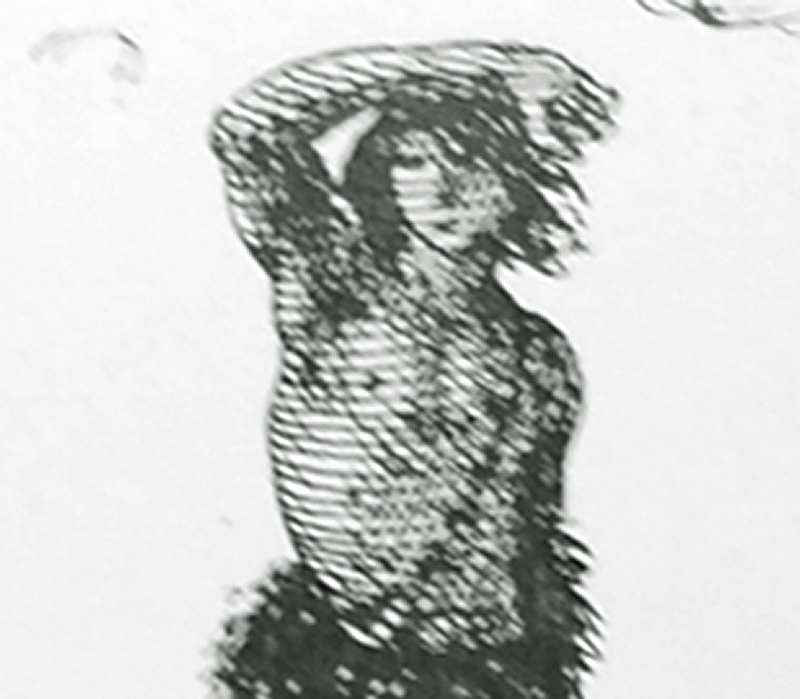 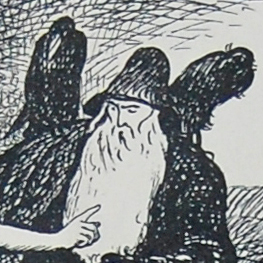 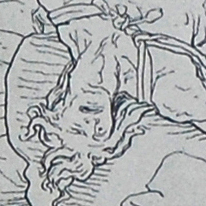 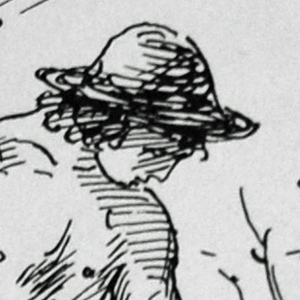 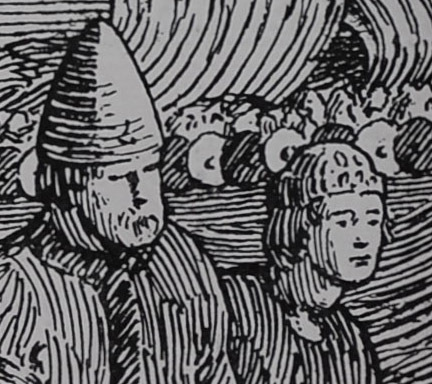 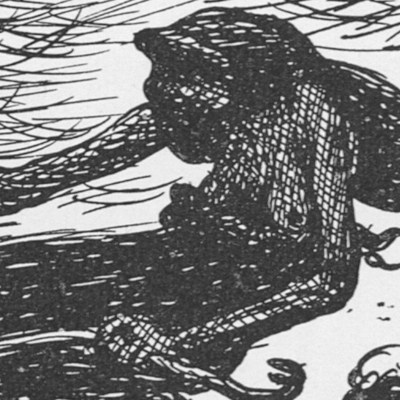 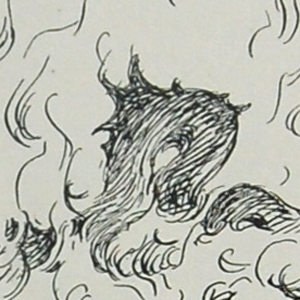 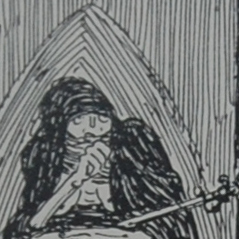 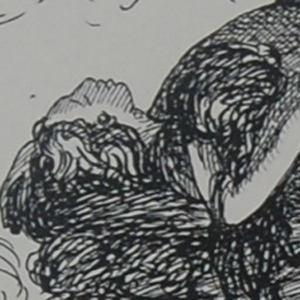 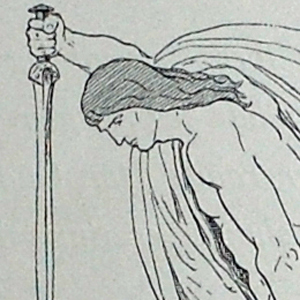 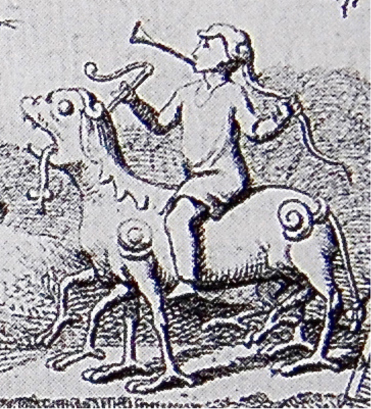 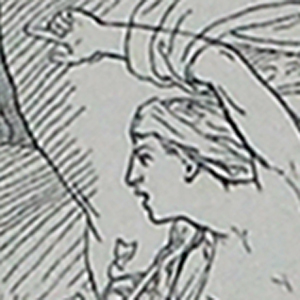 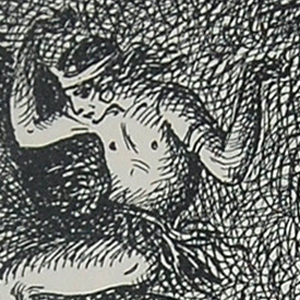 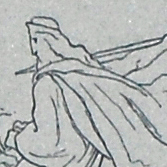 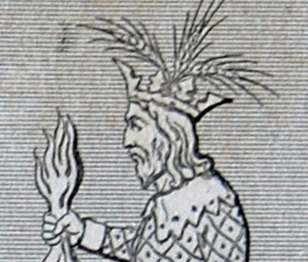 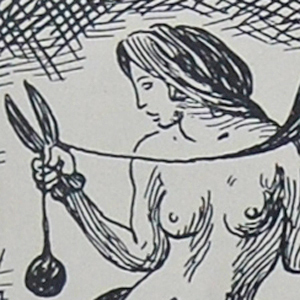 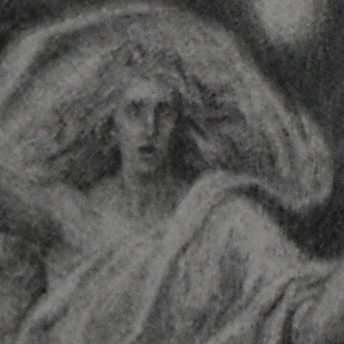 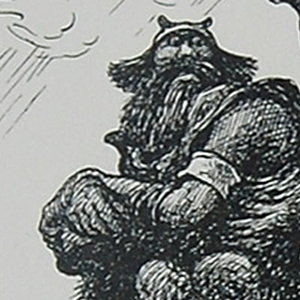 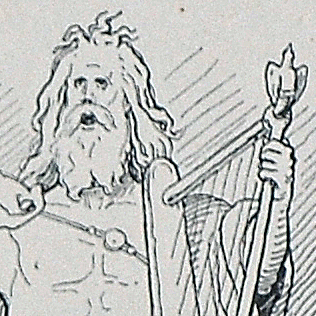 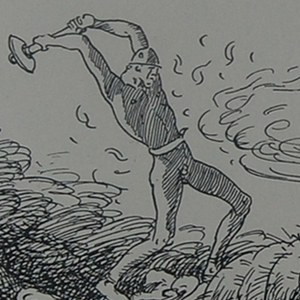 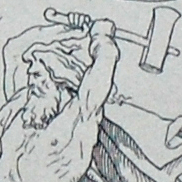 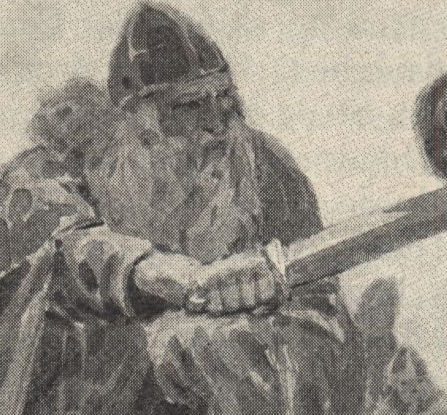 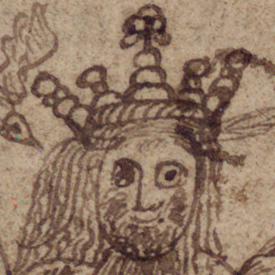 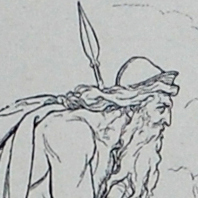 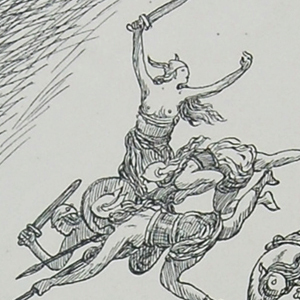 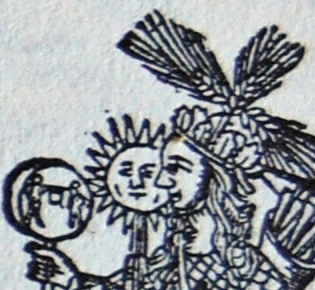 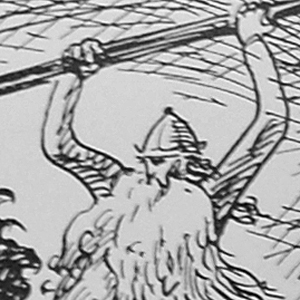 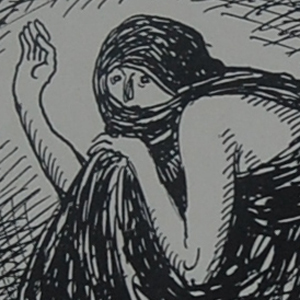 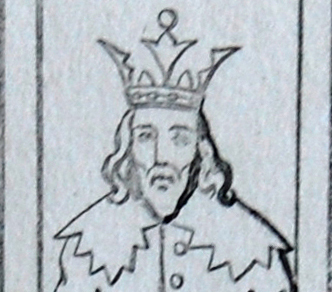 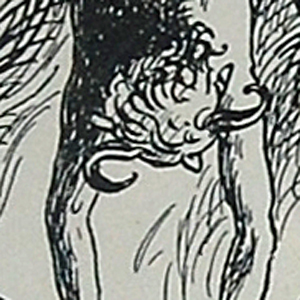 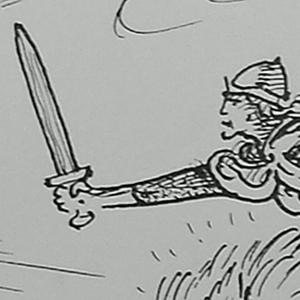 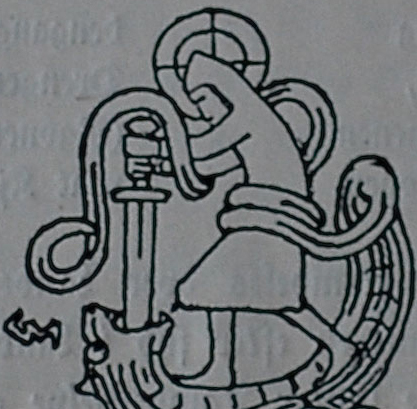 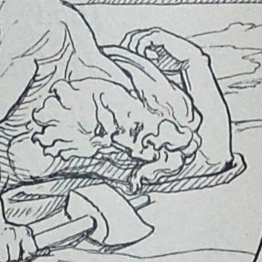 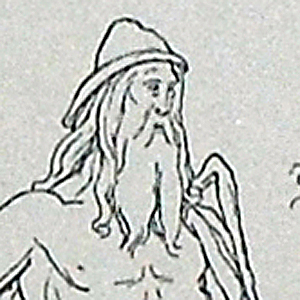 P. A. Baer notes that the figure holding a spiked club in this illustration can tentatively be identified as Þórr based on Saxo Grammaticus's description of Þórr fighting with such a weapon in Book Three of Gesta Danorum. 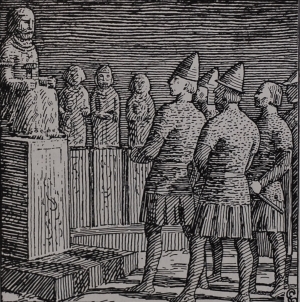 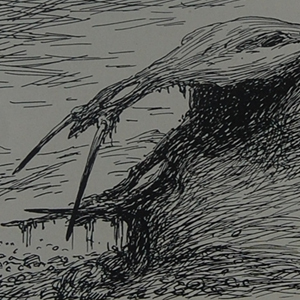 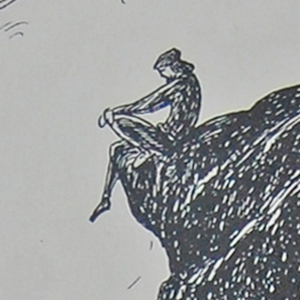 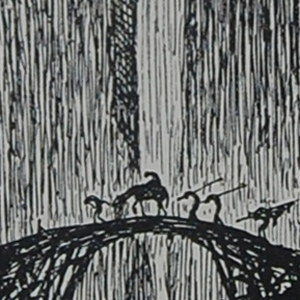 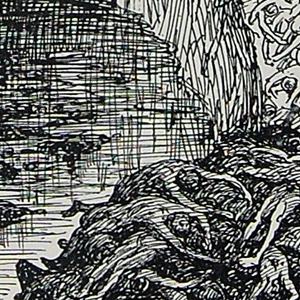 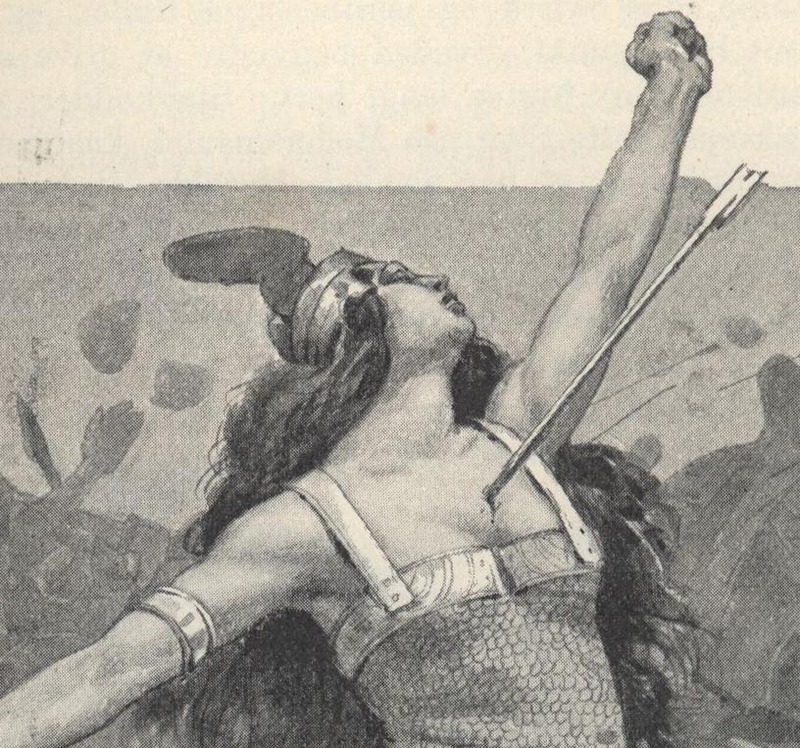 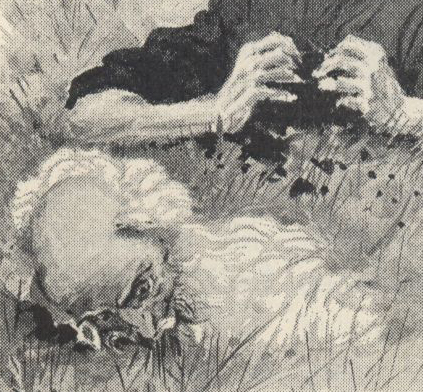 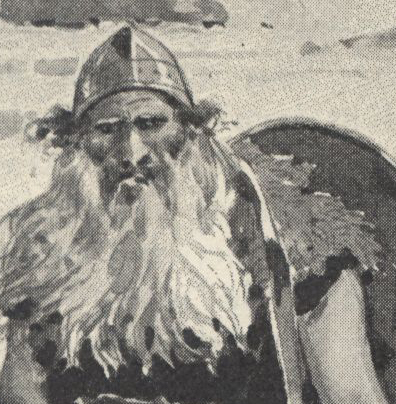 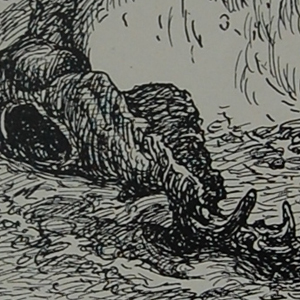 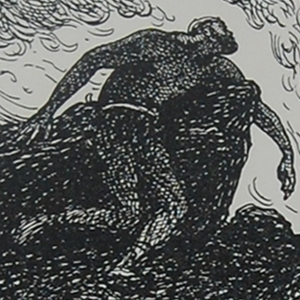 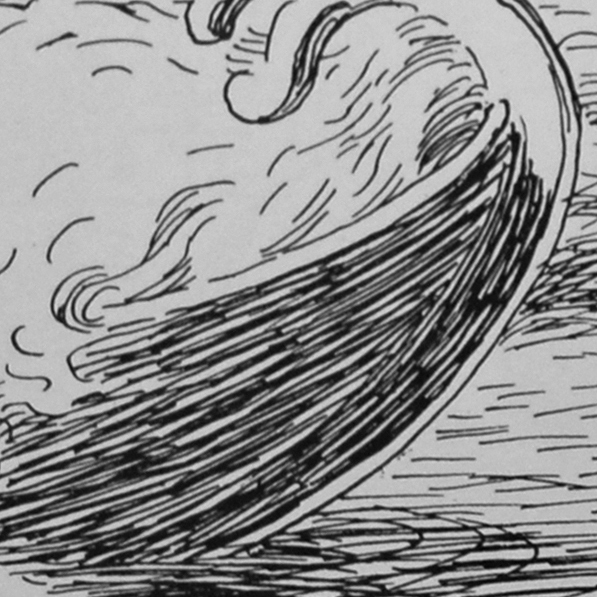 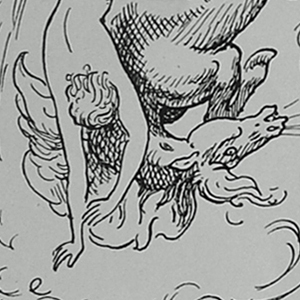 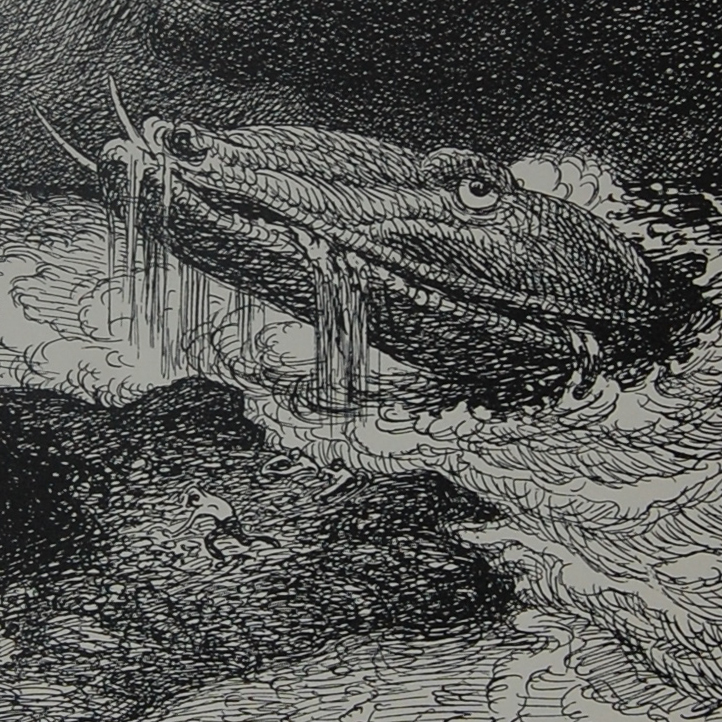 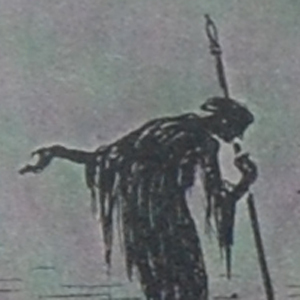 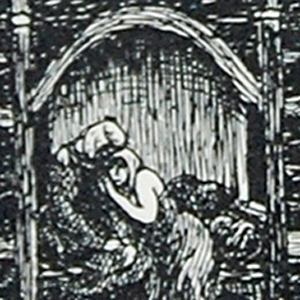 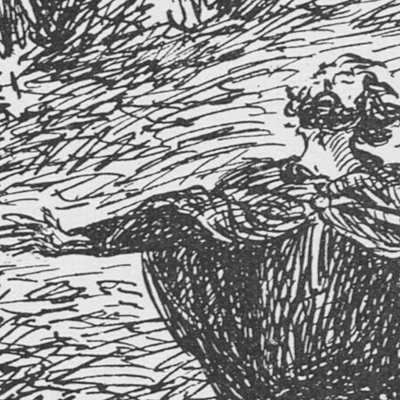 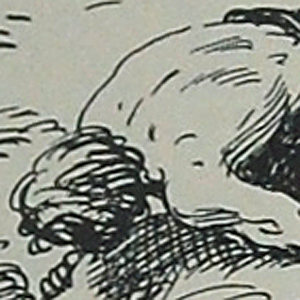 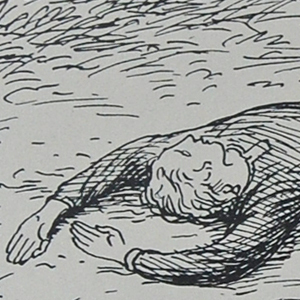 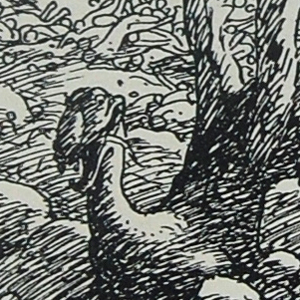 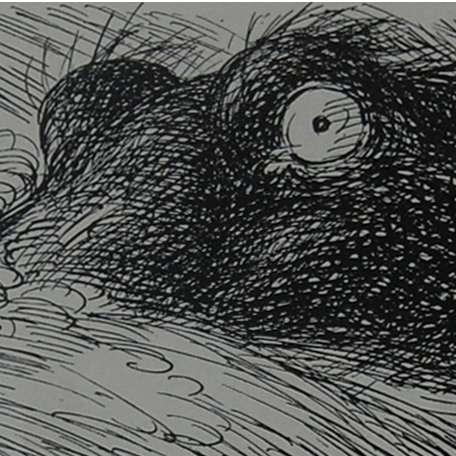 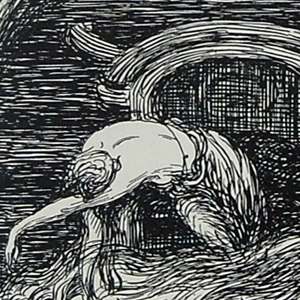 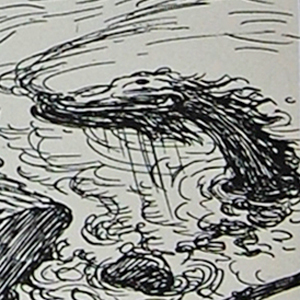 Louis Moe illustrated the scene in Frederik Winkel Horn's edition Danmarks Kronike which was published in 1898 (70). 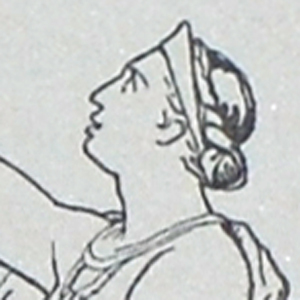 See: DnKrn-1898-UVic-03-070-01.xml.